The end of the season is approaching fast. We have only five games left, and our support will be crucial if we’re to get into an automatic promotion slot. Tomorrow’s game v AFC Emergency Exit may well be another record crowd- so please get there early if you want to make sure of a ticket. Then we have the visit of Northampton Town on Tuesday night, followed by our penultimate away match at Dagenham and Redbridge next weekend- details below. We’re well into coach two for our trip to Dagenham, and we’ve provisionally booked three, but we can have as many coaches as we like so long as you book early enough! The last thing we want to do is to leave anyone behind who wishes to travel, so please help us to help you and book early! Travel Ken will be bopping around his big red box tomorrow, so please interrupt his dancing as we all need a break from it. Oh, and there’s a sale just started at the club shop opposite our cabin, so you might just want to go in there too and pick up a bargain! Book at the CTSA Cabin tomorrow or on Tuesday night, or make sure of your place by calling Travel Ken on 07843124845, or via travel@ctfcsa.co.uk. Remember, you can also follow us on Facebook at https://www.facebook.com/pages/Crawley-Town-Supporters-Alliance/192863957434206 or on twitter @ctsalliance. And our website is at http://www.ctfcsa.co.uk/ – check out our reports and pics from the Barnet game on Monday and on the Easter Appeal for Chestnut Tree House. 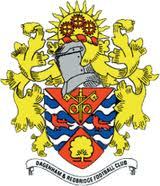 On Saturday 21st April we travel to Dagenham and Redbridge. Coaches will leave the Broadfield Stadium at 12 Noon, and the cost of travel is £12.50 for all. Please book early if you can, as we need to finalise coach numbers. Along with our coach suppliers Clarkes of London, we’re committed to bringing you a service which is the height of comfort and reliability. If you’ve travelled with us previously you’ll already know that this includes very comfortable seats, lots of leg room, and free tea and coffee on medium and long distance trips (and hot chocolate and, occasionally, vegetable soup!). We are also the only place that you can watch CTFC matchday DVD’s anywhere apart from in the managers Office!